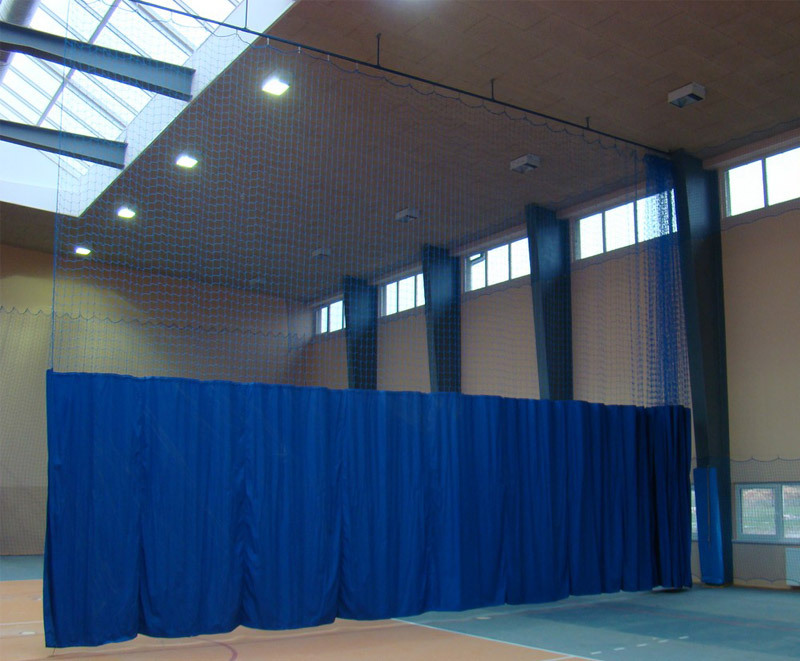 Our offer also includes protective netting of all kinds: protective netting for outdoor courts, protective netting and dividing curtains for indoor courts and sports halls. For protective netting we offer steel posts (galvanized and painted or only galvanized) and aluminium posts (painted) made of a square profile 80 x 80 mm with standard height of 4 m, 5 m or 6 m; each post comes together with an in-ground sleeve. For the posts we have available protective nets with thickness of 3 mm, 4 mm or 5 mm and mesh 100 x 100 mm or 45 x 45 mm together with fixing elements. 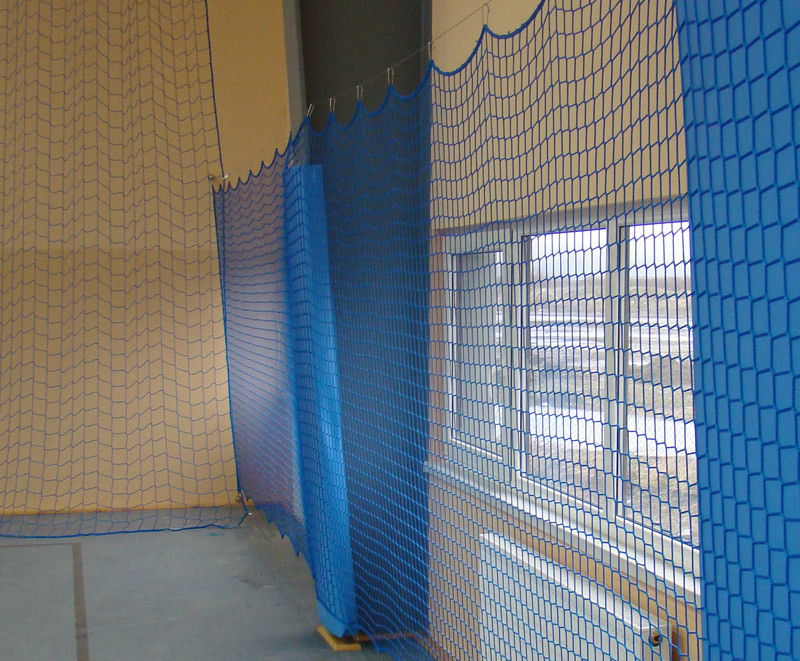 Our standard nets are green or blue. 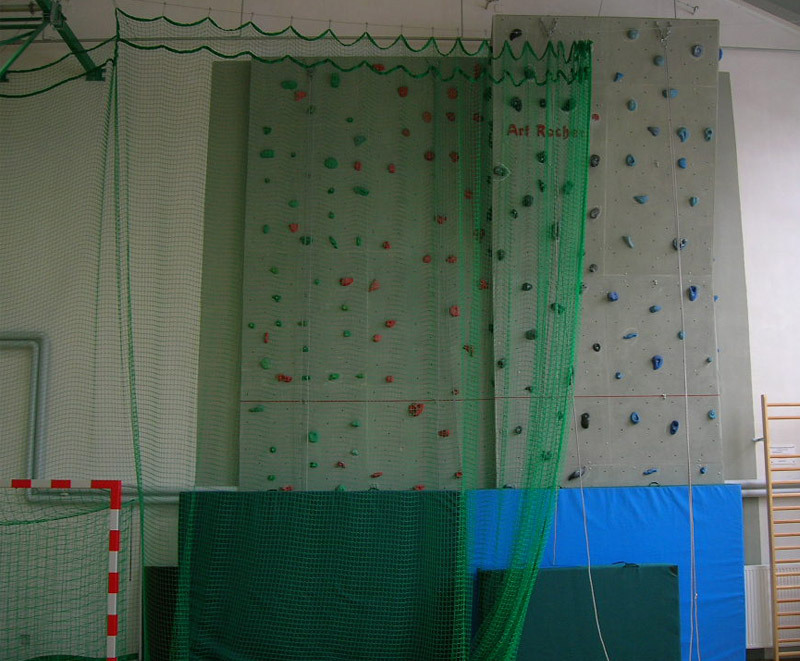 We also do offer dividing curtains for sports halls with walk-draw system. Please contact us to discuss the details.